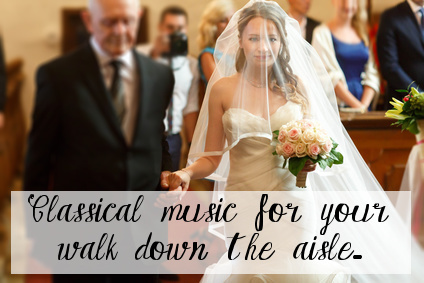 There are so many classical wedding ceremony music choices and you do not absolutely have to go for what is traditional. You may of course like to stick with traditional choices and that is also perfectly fine if that is what you have always wanted or if the church you are marrying in expects it. 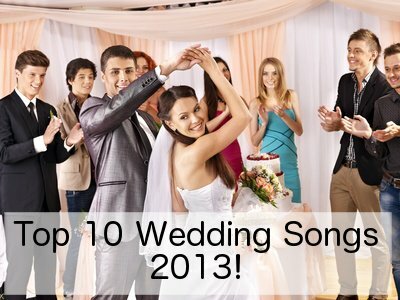 If you are having a very traditional wedding then it is best to stick to traditional classical wedding ceremony songs. 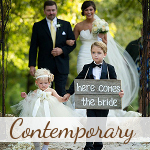 These classical pieces are all beautiful and you do have more of a choice than just "Here Comes The Bride". The best thing is to listen to all of them and to choose the ones both of you like. Dum Dum De Dum... - the most famous piece of classical wedding processional music. Almost every little girl dreams of the moment when this song will play as she walks down the aisle to her groom. This is the most well known processional song and is called Lohengrin and was composed by Richard Wagner. However, many people know it only as "Here Comes The Bride". If you would like classical wedding ceremony music to walk down the isle to, but you don't want to use songs that everyone else always uses, you can also opt for a few non-traditional classical wedding processional songs, or opt for the traditional songs with a little twist. Of course, if classical music is just not your thing, and you are not restricted in your choices by your church or religion, then the choice of the right song for your walk down the isle is as broad as your imagination! You also have the choice to go with something non-classical but instrumental, or go with something that has lyrics. 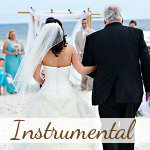 If you are having a beach wedding and you are looking for some suggestions on processional songs to use (classical or not), then click here. Do you have some suggestions for non-traditional classical wedding ceremony music? Perhaps something you have used for your own wedding or that you are going to use? 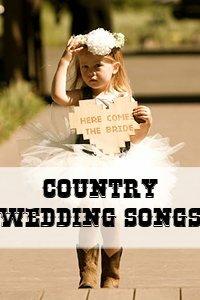 We would love to make this page as comprehensive as possible to help brides and grooms choose the perfect song for that important walk down the isle. Leave your suggestions below in the comments and we will add them to the list if appropriate. TIA!